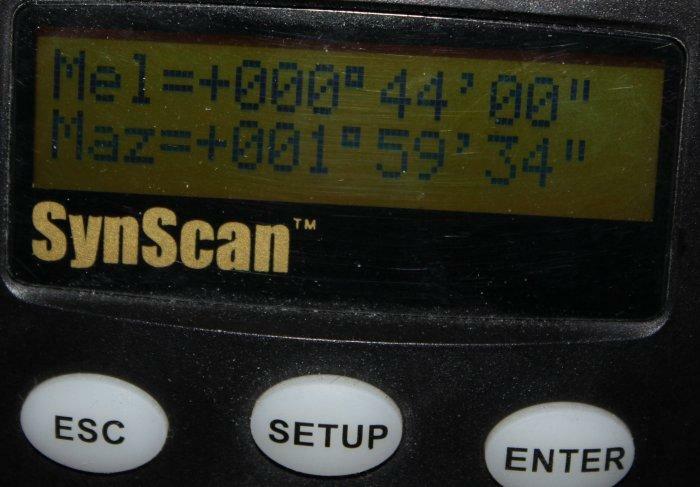 SkyWatcher released a new firmware for SynScan mounts - V3.28 BETA 20. This new version contains new feature - Polar Re-Alignment available previously in Celestron mounts. After doing standard 2 or 3 star mount alignment you can choose nearly any bright star on which you will be able to fix polar alignment of your mount. This is handy when you can't see Polaris. 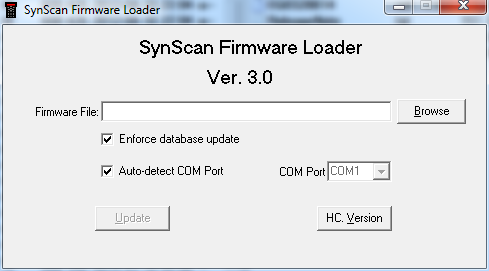 You need to download SynScan firmware loader and the firmware file. Then extract them to an empty folder. Launch the firmware update app. You may click on the "HC. Version" button to check if the connection is ok. If the app can connect to the hand controller - select the firmware file and start the update process. Do not disconnect the controller while the firmware is being loaded. When the firmware gets loaded disconnect the controller from the PC and from power. Now you can use it with the mount as usual. In the hand controller you will be able to see two new things. When you do a 2/3 star alignment the controller will show calculated misalignment as Mel and Maz (elongation and azimuth axis). It's recommended to do a 3-star alignment but on a limited access to the sky it may be hard to find 3 stars creating nice triangle. Do a 2-star alignment instead. In both cases you must be very precise when centering alignment stars. Poor alignment will give false misalignment data. In the Alignment tab aside of 1/2/3 star alignment you will also get Polar Re-Alignment mode. When you select it you will get a list of stars you can use for this. If you used 2-star alignment try using one of those two stars for better accuracy. When it's done use the mount altitude and azimuth axis screws to put the star back in the center of the mount field of view (do not use the hand controller). When the star is centered click enter. The misalignment should be smaller after that. This re-alignment seems to work correctly when the mount is aligned with good accuracy. If you see it wants you to put weird corrections - start again the whole process.